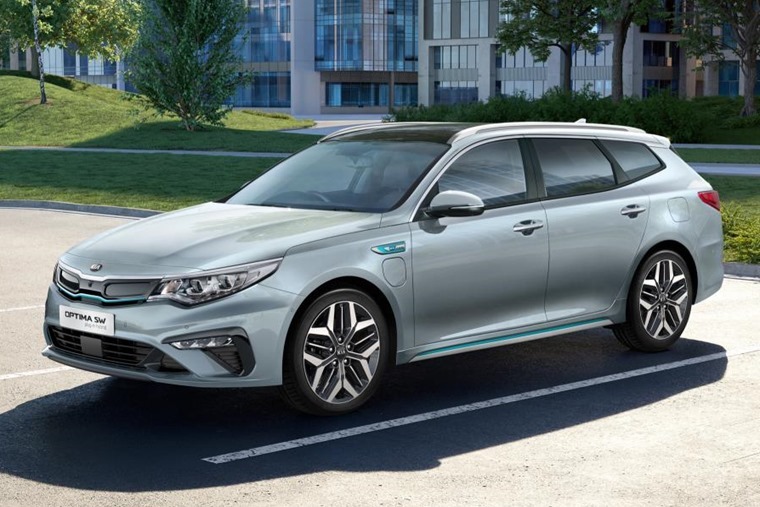 Following updates to rest of the range, Kia has revealed details for its refreshed Optima Sportswagon PHEV – the plug-in hybrid variant of its family estate. Priced from £34,995 rising to £38,995, all models now feature an electric-only range of 33 miles courtesy of a 66bhp electric motor. Working in tandem with a 152bhp 2.0-litre petrol engine, total power output is 202bhp while torque stands at 375Nm. Kia says it switches between the two powerplants seamlessly, and offers a 0-60mph time of 9.4 seconds when they work in tandem. On the outside, a new set of aero bumpers mark the PHEV out from its predecessor, while some new 17in alloy wheels and extra chrome and blue trim pieces have been added. In the cabin, the standard PHEV (from £34,995) now includes an 8in touchscreen system that’s Apply CarPlay and Android Auto-ready. This also now offers Kia Connected Services, while an eight-speaker Harmon Kardon stereo also comes at no extra cost. Opt for the plusher PHEV Plus (from £38,996) and you’ll benefit from wireless phone charging, a panoramic sunroof, a smart park assist system, a leather interior, electric tailgate and additional safety options like Blind Sport Detection and Rear-cross Traffic Alert. With a CO2 figure of 33g/km, company car users pay 13% benefit-in-kind tax for 2018/19 and, while you’re unlikely to achieve this in the rear world, official combined fuel economy now stands at 188.3mpg according to the new WLTP testing regime. 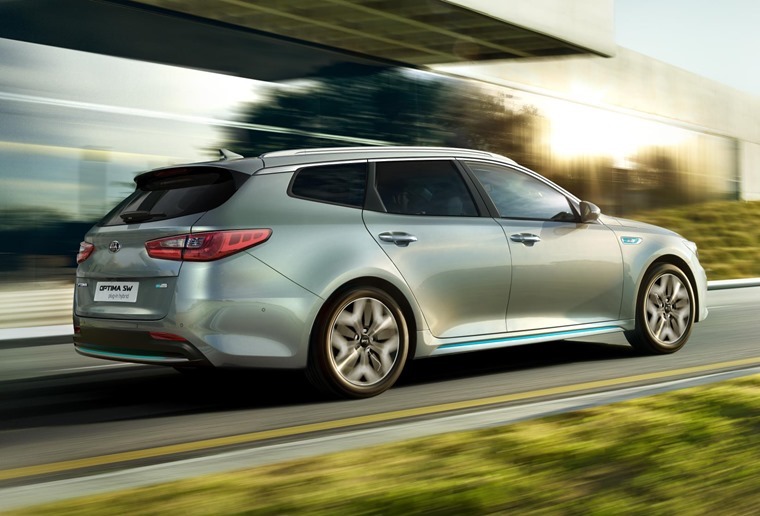 The updated Optima Sportswagon PHEV joins a host of other low-emission Kias including the recently revealed Soul EV, the Niro plug-in hybrid and the e-Niro. You can find lease deals by clicking here.